While the dozens of adults charged in Operation Varsity Blues — the college entrance scheme involving large bribes and parents Photoshopping their kids’ heads onto the bodies of athletes for bogus sports applications — await their fates, the United States Department of Education, helmed by Secretary Betsy DeVos, has set its sights on a new target: the elite schools that admitted students fraudulently in the first place. 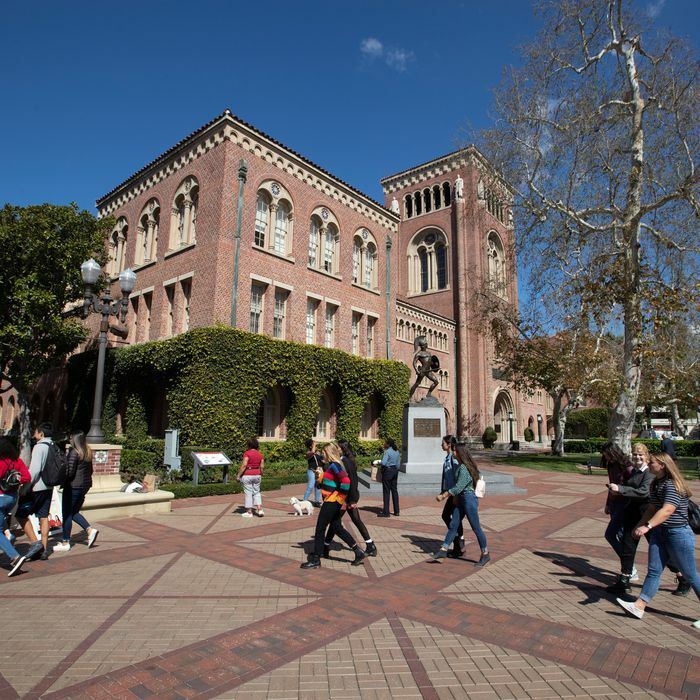 Federal education officials on Monday notified eight universities that they each faced a “preliminary investigation” stemming from the criminal charges announced earlier this month. “The allegations made and evidence cited by the Department of Justice raise questions about whether your institution is fully meeting its obligations” under federal education laws and regulations, an Education Department official wrote. The schools have reportedly received letters alerting them of the investigation. The list includes Yale and Stanford, as well as Wake Forest, the University of San Diego, Georgetown, University of Southern California, the University of Texas at Austin, and the University of California at Los Angeles. The Department of Education’s investigation could impact federal student financial aid programs, including access to Pell grants and loans, depending on whether or not the findings indicate any school broke the rules. Meanwhile, the fallout continues for the adults, and students, implicated earlier this month. This week, Yale rescinded the admission of a current student after uncovering they were admitted through the scheme.